Time flies when you’re having fun, doesn’t it? It flew right on by the 4 year anniversary of She Wears Many Hats a couple of weeks ago. I just happened to think about it and couldn’t believe that July was gone. Four years just like that? This time thing is crazy, is what it is. It’s been a fun-filled 4 years around here, that’s for sure. There’s never a dull moment in virtual land! What I’ve loved the most about the past 4 years is the interaction with everyone—with you! That’s the best part. All of the comments, some with advice, creative ideas, funny stories, or just a kind word have been such a blessing over the years. 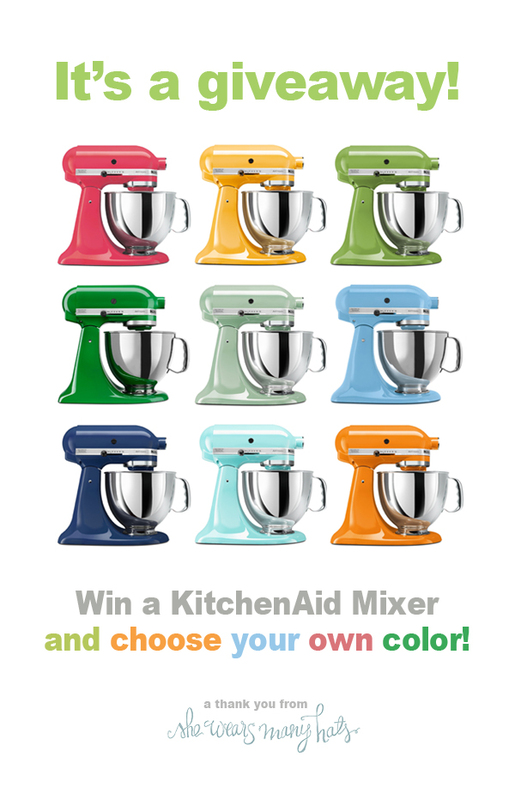 One person will be randomly chosen to win one KitchenAid Artisan 5-Quart Stand Mixer in the color of their choice. Yes! The winner gets to choose the color from over 20 colors. This giveaway has closed. The winner has been chosen and contacted. – Follow @WearsManyHats on Twitter and leave a separate comment saying you did so. – Tweet about giveaway and leave a separate comment saying you did so. – Subscribe to SheWearsManyHats.com RSS feed or email notification and leave a separate comment saying you did so. – Pin the above image on Pinterest and leave a separate comment saying you did so. Giveaway ends Tuesday, August 20th, 2013 at 11:59 PM PST. One (1) random winner will be selected to win one (1) KitchenAid Artisan 5-Quart Stand Mixer in the color of their choice from a selection given. The winner will be selected and contacted by email sometime on Wednesday, August 201st, 2013. Again, thank you for sharing this space with me for the past 4 years. You’ve made it all the better! happy thought: giving my sister a kitchenaid mixer – she’s been using the same hand-held mixer for more than 30 years! I remember helping my dad make cakes and cookies when I was little. I loved to pour the ingredients in the bowl, and lick the beaters afterwards. His kitchen aid finally kicked the bucket a couple years ago. I miss it. ..and signed up for email notifications. LOVE ALL the beautiful colors!! This is a wonderful give away!! Thanks for doing this giveaway – that’s very nice of you! Congrats on 4 years! Happy equals baking cookies with my son! We would love a new mixer to use 🙂 Congrats on 4 years! Happiness is baking things for others and sending it over to them with a smile! 🙂 I grew up baking cakes and cookies with my Mom and we used her KitchenAid forever, Now I would LOVE to start baking with my own Mixer. Thanks so much for the giveaway! All the cheerful colors just make me think how happy I would be mixing and making something yummy! What could make a baker happier than having a stand mixer to make things easier? One in an awesome color!! Thank you and congrats! I pinned to win!! Would be a great bday present to myself on 8/25!! I subscribe to the RSS feed! =) And I LOVE Kitchen Aid – That’s enough of a happy thought! Congratulations!! Thanks for the giveaway! Tweeted the great give-away details! I’ll be giving this mixer to my daughter if I win. She’s baking all the time and needs one. Thanks for the chance and happy four years! Congratulations on your anniversary! I signed up for email notifications! I pinned this also- what fun colors! This mixer could make the happiest cookies! Yummy! Thx for doing this give-away….who wouldn’t love a new mixer!! The colors are gorgeous! I pinned this! And Happy 4th Ann’y! Congratulations! Follow you by email. I subscribe via RSS feed…wouldn’t want to ever miss a post! Picture it: kittens playing the piano!! !…that’s my happy comment, lol. 3 weeks until my romantic, California-adventure get-away (*happy*)! I’m so happy to have tomorrow off of work and spend it with my soon-to-be Kindergarten student buying supplies and going to school orientation. Coffee makes me happy! So do pretty mixers. I’m eating fresh picked blueberries. And that makes me pretty darn happy. 🙂 Big CONGRATS on 4 years, Amy!! Happy thought for the day – love hearing the chatter of my twin baby boys in the morning! Congratulations on your 4th anniversary! That’s pretty cool….and so is spoiling one of your followers with a super KA mixer! I’d love to win that! I would love to win a new mixer. I can think of tons of things to try. Love all the cool colors. I’m still using the same hand mixer I got when I moved out on my own (30 years ago). Love your site! Congrats on 4 years, Amy! Time certainly does fly by! This giveaway has me so happy and smiling from ear to ear!! Happy 4 years!! I Follow @WearsManyHats on Twitter!! Andddd finally, email subscription: been there, done that! Congrats! I would love to win this to give to my sister who doesn’t have a kitchenaid mixer. I don’t know which color she would choose,but i would hazard a guess at one of the grays. I Subscribe to SheWearsManyHats.com via email notification! Happy Anniversary! I love the great colors. I have an old, faded white Kitchenaid that I would like to replace with a pretty new one! Actually, my husband would love it more than me since he has taken a liking to baking! I can just see that RED mixer in my kitchen! Thanks for the opportunity! I connected with you through email. Congratulations!! I am very happy to have found your blog! today is a great day…sun is shining…my son comes home for the weekend tomorrow…things are good! Love the colors. Would love to win the aqua one for my granddaughter. She loves to bake. Congratulations on a very happy four years of blogging. So happy to see such a wonderful giveaway opportunity. I’ve always wanted one of these! I subscribed to receive She Wears Many Hats by email. Love your site! Wonderful variety of topics! Happy Anniversary! Thanks so much for such a great giveaway. I have really enjoyed all your posts, looking forward to many more! Have a great day!!!! Congratulations on 4 years and good luck in the many years that will follow! So fun! I want one of these soooooooooooo bad! Congrats on your anniversary! Great job! Happiness is finding shewearsmanyhats.com yesterday and waking up to this promotion today! Happy Anniversary! singing, Celebrate good times come on!!!! Congrats on 4 years!! That is a happy event!! Happiness is waking up to hearing my girls giggling and getting along!! Also I have many happy memories of helping my mom in the kitchen with baking using her mixer, and I want my girls to have the same happy memories with me in our kitchen!! I helped my friend pick out her first KitchenAid mixer for her wedding registry, and received updates/photos the first, second, and third times she used it. She loves her KitcheAid mixer and I would too! Following you on Twitter (@eeeeebee)! Yay! Congratulations on 4 years of blogging!! Congrats on 4 years!! My 4 year blogging anniversary is this month. 😉 What a great giveaway. Love my cobalt Kitchen Aid mixer. It’s such a workhorse. 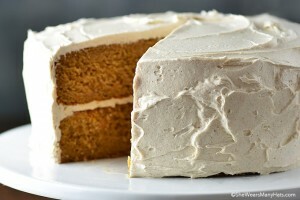 My happy thought is thinking of the Dulce de leche buttercream that could be made with one of those bad boys! Love your blog, thanks for all of the effort you put into such great recipes! Repinned this to my Pinterest boards. Just stumble onto your page…..it looks fun! Happy Anniversary! I love all of the colors-but, the mint green sticks out a bit more to me. I completed all your requests. Thank you for brining a smile to our faces. I follow you on Twitter (@Flavias_Flavors). Happy Blogging Anniversary! Time certainly flies quickly. Happy anniversary and many more years to come. My baking makes my family happy which makes me happy! Congrats on 4 years, luv your blog and recipes! I’ve tweeted about the giveaway. Having a new mixer would make me happy! These mixers are a piece of art for your kitchen counter. I’ve always wanted one! Happiness is baking for someone you love! Happy anniversary! OMG! What could be happier than a mixer in mint color? Subscribed to your blog via email and confirmed! Also, I follow on Twitter! Signed up for e-mail notifications, too. Those colors make me happy happy happy! ! Congrats on 4 awesome years! Congratulations on 4 years of sharing your life and your loves with like-minded people. You are a breath of fresh air and bring beauty and joy to all you do! Happy anniversary!!! Happy, happy, happy! Four years? Really?! I’ve enjoyed everything you’ve posted, from the hilarious (anything by “Slocum”) to the creative (big swirls on your daughter’s walls) to the profound (go.). Happy belated 4th blogth-day!!! Happy Anniversary! The colors of the mixers remind me of a celebration! Oh my how I love all the colors- would certainly be a hard choice. Super fun giveaway!! I am a newlywed and I am so excited to learn to bake more! These bright colors make me so happy! Congrats on the anniversary! Just moved into my new apartment and graduated from a kitchenette to a full blown kitchen. With enough countertop space for a kitchenaid mixer. SO HAPPY! It is summer, the sun is out, it’s your anniversary, there is a lot to be happy about! 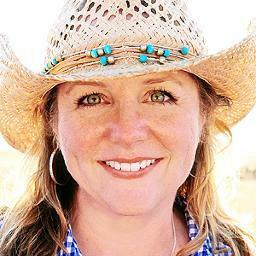 I followed you on Twitter (@kathleensmith49)! the picture of all the mixers makes me smile. i think my fav is the lighter green one. My mother had one and it was green. I don’t know what happened to it. It was used to make many cakes and lots batches of cookies. And I tweeted about the give away. Yay tweeting! Yay give aways! I’m happy thinking about making Christmas treats for my family using a brand new mixer in a beautiful new color. Makes me smile just thinking about your start up 4 years ago… your thinking about what you would blog about, coming up with a name for it, your first TV appearance, your first post, your first trip, meeting people you’d only read about, etc. etc. So proud of you and love saying, Happy Happy Anniversary! Your talent for spreading happiness never ceases to amaze me! Love you! It’s happy to be able to do something you love. Congratulations. Stand Mixer Giveaways make me happy. Thanks for the chance to win! All those happy colors makes me happy! Congratulations on 4 years! Pinned it! I subscribe via email. Congrats on your 4 year anniversary! yayy…congratulations on completing four years!! Woo to the hoo indeed! Love that the winner can pick the color, Amy. Happy anniversary! I subscribe to She Wears Many Hats via e-mail. Woot! I just subscribed to your RSS feed on my Yahoo page! I just pinned your giveaway! And last but not least, happy four years and hopefully you will have many more! It would be nice to give one of those to my mom. Her birthday is just around the corner and she loves red. Dreams!! Happy to celebrate your anniversary with you! I enjoy the variety of posts on your lovely blog! IT’S MY DAY OFF TODAY AND TOMORROW! Happy to sleep in and browse the internet! HAPPY…would be winning and picking a color of my new mixer. HAPPY Anniversary! I am HAPPY to subscribe via email. Happy anniversary and Happy Thursday!! Happy Anniversary, here’s to many more. Happy Anniversary! I have to say that every time I try a recipe of yours I’m never disappointed! Happy Anniversary! My teenage son and friends call me the cookie mom! Have just started cakes! A Stand mixer is a bakers dream! Thanks for being generous!! Happy baking everyone! Congratulations on 4 fantastic years! I have enjoyed learning many cooking and gardening tips! Photos are always beautiful! I pinned it today. My daughter really wants one badly. Hope I win so I can give her the pretty minty green one. I pinned the post on Pinterest. Happy Anniversary! Reading blogs like yours makes me happy, happy, happy!! Thanks for sharing so much with us and for the awesome giveaway. Happy Thought: My husband has always wanted one of these mixers. He hand kneads his own bread dough. Great whole wheat bread that neighbors always ask for more, after getting it as a gift. Hummm, what color would he like best? Thanks! I pinned it. sebh on Pinterest. Please follow me. Thanks. Happy Anniversary Amy…time does fly when we’re having fun and you do seem to have plenty of that! Truth is I’m not commenting to be included in the giveaway. I fear my 28 year young stalwart of a KitchenAid mixer would get upset and stop working and that would make me very sad…just want to give you my best wishes, nothing more! I have wanted one of these mixers for so long. I’d probably pick some shade of green. How lovely for you to have such a good run. I’m happy I finally found a Doctor that knows how to treat my auto immune disease! Happy thought! It’s almost Friday 🙂 and I am going to visit my family 🙂 so excited! Happy 4 year anniversary!! Thanks for fun things you post every day. I love your blog! Congrats and here’s to many more years! LOVE the opportunity to win a Kitchen Aid!!! Woo hoo! I subscribed to the SheWearsManyHats.com RSS feed! I pinned the image and link to the giveaway on Pinterest! Love the give away! Congrats on 4 years. Congratulations on your 4 years! Amazing!! & Good Luck to everyone who enters! Subscribed to both RSS and Email notifications. Congratulations, and many more blessed ones to come, my happy thought is that I am a new Mother-Inlaw, my baby girl (18, yes I said 18, her Husband is a Corporal in the Marines now having served 3yrs) To win this Kitchen Aid would be a dream to be able to pass on my traditions of baking to her and her new husband. Did I forget to say they can’t boil an egg between the 2 of them. So a Kitchen Aid would be a quick learn, lol. Happy Anniversary!! I pinned it too! I would love to win a happy color. Pinned it! 🙂 Love your blog! I pinned the image to Pinterest. Any happy comment? I LOVE PUPPIES (and kitchen aid mixers)! I love all of the colors shown here. Kitchen Aid mixers are the best! Happy to be alive and for my beautiful babies!!! I love Kitchen Aid mixers and I love your blog! Life is good! I have been swooning over a KitchenAid mixer for a while now! They are a beauty! Happiness is hearing our 3 month old son laugh for the first time. I’m an RSS feed subscriber. I subscribed to email notifications! I subscribe to your blog through email. Keeping my fingers crossed for a KitchenAid mixer! Congratulations on four years! Isn’t it great to know that you have touched so many people and made them happy. Here’s to another four! Today was my grandbabys very first day of school, prek. She loves it!!! What a very nice giveaway. Thanks, and Happy Anniversary! Rainbows! Unicorns! Puppies! Cupcakes! Puppies eating cupcakes riding on unicorns over rainbows! Today really is a happy day for me. My best friend is post cancer surgery and the doctor called this morning and said the pathology indicates she will be ok. Also, this morning we found out that my grandson does not have autism. Happy, happy day!!! Thank you for the giveaway! Awesome prize! Congratulations on your anniversary! 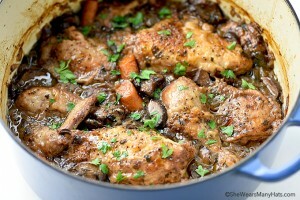 Pinned it, along with countless recipes I’d love to try it out on! I would be so happy to win this mixer. It’s a dream of mine to own one. Congratulations on making it four years! Hard work well spent! Subscribed for your email notifications! Congratulations! May we all enjoy your website for many, many, many more years! I would love this as it would make all the baking and cooking so much easier at my house! I follow via Bloglovin. Does that count? Baking cookies and other goodies to give to family and friends make me (and them) very happy! I’ve always wanted one of these and winning one would definitely make me happy! The colors make me happy too! Congratulations! We love baking together as a family so this would be wonderful! Thank you for working so hard on this wonderful blog! I’m all signed up for email notifications! What’s happier than four years of having your awesomeness on the internet? Congratulations, Amy! Congratulations on four years! Here’s to many more! I hope I win! I work for a non-profit, and can never afford a mixer! And I subscribed to email updates. Thanks again! I love my old KitchenAid mixer and I would love to have a new pretty one. I’m a subscriber! Happy 4th year!! May you have many more!!! Happy thought: we found the house of our dreams tonight and this would be AWESOME in my new kitchen!! Thanks for the chance to win. I pinned the image on Pinterest. I mentioned to my husband that IF we ever got divorced (we we wouldn’t!) I’d only want my Kitchen Aid– But I NEEED a new one, new color! Congratulations on your anniversary! I pinned this site! Congratulations on your anniversary! I subscribed to your emails! Happy comment- I love making cookies with my kiddos! I followed you on twitter! 🙂 happy blog-aversary! I subscribe to your emails! 🙂 happy blog-aversary! Happy 4th anniversary! Thanks for the giveaway chance! Happy Anniversary! I love thinking about my first time baking Christmas cookies with my grandma and her stand mixer. Such great memories and it brought my love for baking. I would love a mixer of my own! Happiness for me is when my 8 yr old son wants to bake with me! You see he’s autistic and loves baking and cooking with mom! This would make it all the more cooler!! Love it! Thanks for this chance! Congratulations on your 4 years. This mixer has been on my wish list forever, I still use a hand mixer so this would be so awesome to win. Thanks for the opportunity. Btw, I also follow u on Pinterest!!! I’ve also subscribed to your RSS feed! Yay for this fantastic giveaway!! SO excited! I love to cook and I’m inspired by what you do on your blog! I reprinted your pin on Pinterest! The colors of those mixers are just beautiful! What a happy rainbow. Happy Anniversary. Happy four years to you, thanks for all the recipes! I subscribe to your emails, it would be a great birthday pick me up. Congrats and I love all the pretty colors! Happy 4 years to you! Time certainly does fly by. I started my blog about 5 1/2 years ago and can’t believe it. Love your blog! Pinned It! Happy Anniversary! Always thinking Happy Thoughts!! Would love to have one of these mixers. I’m still using my mom’s avocado green hand mixer from the 60’s. LOL. congratulations on your anniversary! I have a blog of my own and I always find it SO hard to keep up and post regularly, kudos to you for still doing it after FOUR years! My poor mixer is on its last leg, so that orange stand mixer would make me HAPPY HAPPY HAPPY! Signed up for emails… check! Congrats on 4 yrs!! I love ktichenaid mixers!! https://twitter.com/toocutebows/status/365708449385955331 Tweeted about the giveaway. And follow you on Twitter. Love the colors! I found your blog on Pinterest. This contest was pinned by a blogger I follow. Now this blog is on my home page so thank you. Congratulations on 4 years and happy blogiversary! I look forward to many more visits. I subscribed to email feed. I am very happy to be filling this out in the hopes of winning a Kitchen Aid. Thanks you and congratulations on your anniversary. My happy thought right now is I’m a happy Mom as my son just moved back to the midwest after being in LA for two years after college. He got a great job in Chicago so now he’s only 2 1/2 hours away. I’m just so glad to have him closer! I am so HAPPY about this giveaway… love all of those bright and cheery KitchenAids! Love the colorful choices. Thank you for the giveaway opportunity. I subscribed through email notification. I pinned the giveaway image. These colors make me happy, happy, happy and what would make the most happy is to win one!!! Happy that summer berries are finally here! 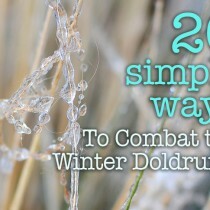 Found this website this year and have loved following it! My week sure would be a lot happier if I won this mixer! My happy thought is about how much fun I’m having at the beach with my sister and my two nieces. Girl weekend! I pinned an image to my pinterest board. Happy post – I’m happy to have found your blog and try your delicious recipes! I subscribe to your blog using Feedly. I am quite positive I did all 5! Thank you for this opportunity, I am in drier need of anything Kitchen- Gettin married in January! It’s sunny and summer and there’s lots to be happy about! What a blessing to win and be able to give it as a wedding gift to my son Calvin and his fiance! 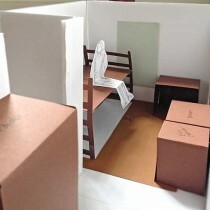 I also pinned the giveaway image (http://pinterest.com/pin/380624605977912162/). Happy Anniversary! I’m happy to be home and sleeoping in my own bed after a mini holiday. And obviously, I follow you on Twitter! Just discovered your coconut pancakes…they are divine! Here’s to at LEAST four more years of awesomeness! I saw a beautiful rainbow on my way home from work today. Great way to start the weekend! I pinned it – found you through Kevin and Amanda! Happy Anniversary! Happy 4th! I would be sooo happy if I won! Woohooo….Happy 4 year anniversary! What a wonderful milestone you’ve accomplished. 🙂 Thanks for hosting such a wonderful giveaway to celebrate. Happy Anniversary! I hope we have many more years to enjoy your blog. Many thank you’s too! Congratulations on 4yrs and cheers to many more! Summer is a great time for celebrating and is special for me because I get to see/visit my family in the States. I subscribed via feedburner email subscription. I pinned your wonderful 4yr giveaway! I would LOVE to buy one, but don’t have the funds, so I’m sure I speak for us all when I say I am so grateful for these giveaways!!! Thank you! Oh Happy Day to find a give away for a Kitchen Aid Mixer. I see cookies in my future! I follow you on Pinterest so pinned this give away to Bake Sale Board because it would make baking for one a snap! I follow you on Twitter and tweeted about the give away. I follow on twitter as @nicolthepickle. I absolutely love baking and this giveaway would make it so much easier! Happy thought: my sister, her hubby, and their daughter (my niece) are all getting settled into their new home that is PERFECT for them. So excited for them. And I’ve followed on twitter from @ActuallyItsAmy! And I’ve subscribed to the RSS feed! Happy Anniversary. Would love to own this mixer. Still gave a hand mixer that I received as a wedding gift 40 years ago. I’m HAPPY because I love “old school” giveaway entries as such. None of that raffle-belly-copter jazz. 😉 Also happy, because I would loooove to win a new mixer in a bright cheery color. Mine is on the fritz! Awesome site! Awesome Blender! Would love to give it to my mom! Spread the KitchenAid Mixer joy! Pinned on Pinterest so all of my Pinning friends can see it! I LOVE those mixer colors! I’d love to give one as a gift! Those colors make me happy! I have a new found adoration of baking and I’d love a kitchenaid to help with the process! Happy anniversary! I just discovered the blog a few weeks ago on Pinterest and I love it, I also repined this post! I (@missveronique) now follow you on twitter! Happy Webiversary to you! You have a lovely blog I’m happy you’ve had such success with it! Best to you! Congratulations! Here’s to the next four years! What a happy giveaway! Congratulations on your 4 years and thank you for the giveaway! I sure do hope I will win because that would make me very “happy”! I tweeted your giveaway! Thanks again for the fun giveaway! Happy thought: so wanting my own pretty kitchenaid mixer because I am a poor college student who loves to bake!! awesome giveaway! YAY anniversary! and yay Kitchen-aid Mixer! Happy Anniversary. I know you will have many more 🙂 I pinned this as well. Love the amazing bright colors. Happy Anniversary!!! I pinned this to my Awesome board!!! Happiness for us this month has been my husband starting the process of going BACK TO SCHOOL! 🙂 He’s trying to pursue his dreams and we are so excited 🙂 Praying the whole way! PINNED on PINTEREST! 🙂 That’s actually where I FOUND this giveaway 🙂 yay! Thank you for all your thoughts, inspiration and information. i always look forward to reading you. My ‘happy thought’ is picturing that pretty turquoise blue mixer sitting on my kitchen counter. I had one for 20 years and after retiring I handed it down to my newly-wed daughter. She is a much better cook than I and an avid baker so she’s put it to almost daily use. 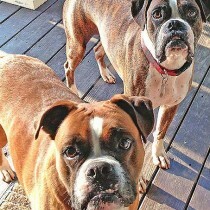 Sadly, I have to admit that I miss ‘Helen’ and would love a chance to bring home her little sister (Breezy, perhaps?). PLEASE?! P.S. I did pin it!!! Happy thought: my husband and I will be celebrating our 4 year anniversary on Aug. 15th 🙂 And thank you for celebrating yours by offering this awesome give away! You rock!! I’m not on twitter but I pinned this under my dream home board!! Fingers crossed that I win 🙂 Really loving the apple color! I am so excited!! My baking catering business could really use this!! I’m following you on Twitter – thanks! There is nothing quite like a kitchenaid mixer. I use mine several times a week and have for more than 20 years. It needs some love…. if I won a new one, I’d be so, so happy and would donate my well-loved one to someone, I promise! I subscribed to your e-mail list! I pinned your giveaway @wendyscherer – thx! I am very excited to have a chance to win my dream MINT kitchen aid blender! Congrats on 4 years! Thank you for the giveaway and hope you have many more years of helping others through your website. I follow on RSS feed! THanks for bonus opportunities to win! I had the best day today making and stocking the freezer for my 6month old with homemade baby food! He also just started saying ma ma ma….although I don’t think he has connected the dots with what it means, it makes me so happy to hear him and see his smiles and giggles. Working on da da so my husband doesn’t feel left out! Thanks! Happy 4 years to you!! Happiness is baking for your Grandbabies! Congrats on 4 years! Happy anniversary! I’m happy in the kitchen and I’d lovea kitchen aid! One of these mixers would look lovely in my new house! Thanks for having a giveaway! and my above entry email was typed in wrong! this one is good though! 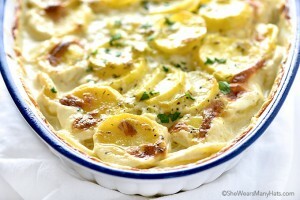 Great site and wonderful recipes. Happy anniversary! I am a cancer survivor!!! Happy 4 years! I would love to retire my hand me down kitchen aid!! Just thinking about winning this makes me happy, and the thought of choosing one of those bright colors puts me over the moon! I subscribed to email notification! Happy Saturday! Spend the day with family! A new kitchen aid beautiful yellow mixer would make the day even brighter! This makes me look forward to making Christmas cookies! If I win this I will cry and then bake lots of cookies and make a toddler very happy! Congratulations on the four year anniversary!! Thank you for giving me a chance to win a new mixer. My whole family gets sick when wheat, rye, malt, is eaten so I must mix and bake all my breads from almond and rice flours with an old worn out mixer. Having a new jazzy mixer will make me and my husband’s pocket book happy. I would love the lighter green one! That would be so amazing! I’d be baking and cooking so much! Also just repinned this on pinterest! Hoping to up my chances on winning a mixer! Can I just say this is so incredible of you to be doing 🙂 Ahhh! Just pinned here: http://pinterest.com/pin/69946600435848004/ 🙂 loving all the colors! Aaand requested to receive email updates. Whoohoo! Handheld mixer –> spoon & elbow grease –> KitchenAid master stand mixer = DREAM. It would definitely make me happy to do all of my holiday baking using it! Just got to visit my new niece and see a cousin get married. It’s been a happy weekend! Happy Comment: The joy of creating foods and giving them as gifts.. I live alone and only cook occassionally for myself but when I bake and cook for others, the smile on their faces brightens my heart. Pinning it! Today I woke up, and it was a sunny 55 degrees! Fall and pumpkins and spices are just around the corner! I also subscribed and confirmed to the emails! Happy thought: getting a new kitchen aide mixer that doesn’t grind when I make pizza dough from overuse!!!! …and eating the pizza with my four boys! I am so happy that our house will soon be finished and we will be able to start making it a home. My husband took our two little boys camping and I got to spend the whole weekend alone with my 6-year-old daughter. It was the best weekend I’ve had in a long time! What. A blessing. Everyone. Cant afford a Kitchen Aid. Thank you for giving back!!!!!! Pinned it! Thanks for sharing! Love your recipes! Love your recipes. So healthy and delicious. Would love to have one of these. I’m still using my mixer from my wedding shower…..over 30 years ago! Congrats on your recipes. So much that you do is inspiring. Thank you. I pinned it, signed up for notifications and started following your friends! AH! I am so, so excited about this giveaway! I hope I win! I followed you on Twitter! 🙂 Phew! Five giveaway chances? Check! Hope I win! Happy Blogaversary! Love your blog! Always something new and fun! Would love to win the Kitchen Aid Mixer!! i went sailing today on the bay. it was a gorgeous day! Love your website, so excited for the giveaway! I am an email subscriber! Congrats on 4years! Happy 4 years!! I’ve loved reading your blog & can’t wait to see what this year will bring! HAPPY 4th blogiversary, fellow Amy. Congratulations on 4 great years of blogging!!! Congrats!!! What an accomplishment and what a great giveaway! Thanks for the chance! Sooooo Happy to have spent the day with my mother, sisters, daughters, mother, neices and nephew having a family dinner. Then went to fly my fathers kites in the hay field. It’s so nice getting everyone together. I follow you on Twitter and “ReTweeted” your anniversary giveaway. Congratulation. Colors make me happy! Love all the mixers colors! Having lost everything in a major tornado in 2011 – this would (happily) get me back in the kitchen and baking again! I gladly pinned this – not just for the giveaway – but everyone should visit your lovely site! Tweeted – with a smile! How could my comment not be happy, when thinking about possibly winning a KitchenAid!? 🙂 Thanks for the chance! Hope you have a super happy day! Always dreamed of owning a Kitchen Aid mixer, just too cheap to buy one. Thanks for the chance to win one. Such Fabulous colors. Pinned to products I love. Love KitchenAid Mixers and would be so HAPPY to win one! Keep up the good work here! I have been learning to live by this quote and happiness and so easy it’s a choice! Rainbows baby! Happiness is the month of August! So many reasons to celebrate: anniversaries, birthdays, warm days and cool nights, and time with family. If I won this giveaway, you would make one Canadian girl extremely happy and this would definitely make my day!!!!! Happy Anniversary!!! My happy thought would be having a new mixer to make all my baked goods with! my hand held one gives my hand cramps :/ hahaha plus I love the colors of these!!!! Happiness is winning this great giveaway!!! You would make one Canadian girl extremely happy!!!! Happy Anniversary and I am crossing my fingers to win this. Congratulations on your 4 year Anniversary and wishing you much success with your blog and many more years to come! Dang sis, there’s 900+ comments! Pretty colors on these things. Sure would like to replace the hand mixer I have which was a wedding gift 20 years ago. Congrats on 4 years! Thanks for celebrating your special time with us…the giveaway is awesome. Baking in my kitchen always is a happy thing. It is relaxing for me and it makes my family smile which makes it a double win! Baking and using a bright Kitchen aid mixer…even better. Crossing my fingers! Can’t wait to start getting your emails. Love the recipes on your site! What an amazing giveaway! I would love to win one of these great mixers! Following your blog (I love it!) as ordered, Missy. Pinned on my “kitchenry” board on Pinterest. Good for you on your four years and best of luck (like you need it) for many more. You know, I’m 55 years old and love to bake and cook and I don’t even have a mixer now. I gave all of my belongings away to move to England, but that went awry, so I’m w/o almost everything. I’d LOVE to have something nice to cook with. Thank you for all of the time you put into your blog and into Pinterest. I know how hard you must work, but we all think you’re the best. Cheers! Looking forward to the next 4 years! Congrats on the fourth anniversary by the way! I now receive your emails! TGIF! Congratulations on your 4 year anniversary. I always enjoy reading your posts. My son is getting married in Oct. I would love to win this for his soon to be bride who loves to bake! Having a shiny new mixer on my counter to replace the 15 year old chipped, hand-me-down one given to me by a friend out of pity: HAPPY! Love this! The new mixer is a great idea! I am happy, happy, happy that my husband & I are the new children’s directors at our church and we can’t wait to start investing in the lives of the children in our church and community! Woooo that salmon color is gorgeous!!!! Happy Anniversary! Happy is someone who celebrates a happy occasion by giving to others. You are fabulous! Happy happy!! (: I love all of them!!! I was so happy to pin this !! I’d love to win it so I could give it to m daughter who LOVES to bake and is getting married next month!!!! I was so very happy to sign up for emails!!! Really, really want to win this mixer… I’d be beyond tickled!!!!!!!!! What a great giveaway! I love Kitchenaid! I’m happy to be at your site! What a cute thing!! 🙂 Have a great day! I posted about the giveaway! I’m @strawbarigurl on twitter! I signed up for an email subscription to your site. Signed up for the email subscription, too. Thank you for 4 awesome years, here’s to many many many more. New to the blog, thanks for the giveaway!! I tweeted, retweeted & pinned!! Happy Anniversary! I pinned the giveaway! Thanks for this chance to win! I signed up for the email subscription! Thank you again for the chance to win an awesome Kitchen Aid! Happy Anniversary! Four years ….WOW! And wishing you many, many more! I would love to win one of these. I would have a hard time choosing a color though. They all look so pretty! Oh it has always been my dream to have a kitchen aid mixer as I have a passion for cooking…. As a new couple starting out it would be great to have one…I love your blog happy anniversary!!! I would love to have a lovely bright new Kitchenaid mixer to replace the beige but very reliable one that I have had for over 25 years. It has been awesome but I could definitely use a replacement!! What an awesome giveaway! Happy blog anniversary 🙂 Thanks for such a fantastic blog, too. To many more years! Happy 4year anniversary ~ enjoy your blog! I’ll admit I’m a newcomer to your blog– thanks to Pinterest– and I love digging through all your wonderful recipes! Happy 4 year anniversary! Happy, happy 4 years! Congratulations! Thank you so much for the giveaway! My happy thought is that I get to see my best friend for the first time since this past winter on Thursday!! I am so excited! Happy Anniversary. Isn’t it great all the beautiful colors there are. I remember when they only had white and silver, at least that I was aware of. Happy 4 year blog anni! Happy Happy Happy comment! Congrats! Oh and I’m an email subscriber! My happy thought is being able to use my new kitchenaid mixer with my daughter as we make Holiday cookies! I would love to win this because my daughter really, really wants a KitchenAid mixer and I would be so thrilled to be able to give her one. Thanks for the chance, Amy!!! You woudn’t believe the price a mixer like that is in Germany – it’s double the price! great giveaway! congrats on 4 years! Happy thoughts. Yaaaayyyyy this contest is good in Canada too. Happy Anniversary! Awesome giveaway too! I’m following you on twitter, too! I’ve started following you on Pinterest and I’ve pinned your Anniversary contest. My son said mama for the first time yesterday! This is a great giveaway, I would love to have a kitchen aid mixer. Happy comment… My sweet baby just learned how to sit up by himself, and when he makes he’s so proud of himself that he just sits and smiles. I love it! When I think of cooking, I think of my grandma. When I think of grandma, I think of homemade pies. When I think of pie, I think of holidays. When I think of holidays, I think of family. When I think of family, I think of love. And that’s how I know cooking = love. It makes me happy to read blogs like this one, but what makes me even happier, bloggers like you that really, truly care about readers and love doing nice things like this! Many many Congrats on ur anniversary…..love love love the giveaway… really need a kitchen aid.. I get happy every time I use my Kitchenaid Stand mixer but I have the small basic one. I’d love the larger one you are giving away! Happiness is loving my job as a “domestic goddess”, and having a wonderful family that enjoys my cooking and nourishing ways. Happy Anniversary to you! Congratulations on reaching your 4th anniversary! Look at that candy-coated selection of mixers! Happy four years, Amy! This internet space is better for having you here. Would love to be able to give my mom a great kitchen aid mixer just like I have!!! Great site btw!! Subscribed to your email newsletter!! The cupcakes I could make with this would make my kids super HAPPY!! Pinning right now!! Happy 4 years to year and many more 🙂 keep on cookin! Happy 4 years to YOU & many many many many more !!! Wow! Congratulations on 4 awesome years. How fun is this! Tuesday is the best day of the week to win a KitchenAid. Happy Fourth Anniversary. That’s virtually awesome! Happy blogiversary! Here’s to 4 more years! Congrats on 4 Years of a wonderful BlogSpot. What a wonderful way to celebrate you success with a Kitchenaid Mixer give a way. I hope I am a WINNER! Happy Anniversary! Thanks so much for this wonderful giveaway! Love the colors, they are perfect for summer! Happy Anniversary! May you have many-many more! The sun is shining and the day is glorious! AND I have a chance to win a KitchenAid mixer! I recently discovered your blog through Pinterest (we seem to have a lot of the same clothes in the Pinterest word 😉 ) and am enjoying all your work! Subscribed, Pinned, following on FB! Congrats, Amy!!! Happy four year anniversary! Here’s to many, many more! Retweeted your tweet about the contest!! Congrats! Here’s looking forward to another 4 and then another after that! Love it!! KA is my fave and mine died a couple years ago and I have yet to replace it! 🙁 I love all the shiny colors though! I subscribed to the newsletter via email! Love your blog! I could totally use a stand mixer!!! Pinned it! Can’t wait for the drawing! My happy post is that I’m happy to have found a local blogger. I have lived in the Upstate SC my whole life! I look forward to following your blog! I would also be VERY happy to win the KitchenAid! I would love to give it to my daughter and son-in-law. They are using a hand mixer. She would be thrilled to own a KitchenAid! I followed your RSS feed! The dark blue is a great color! I also pinned your image! I have subscribed to your e-mails and am looking forward to reading them! Happy comment: I got a new job!